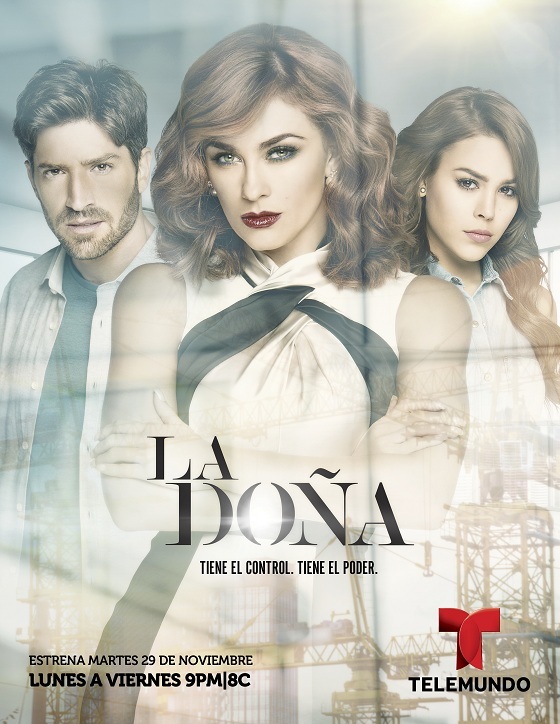 Telemundo's La Doña delivered 1,851,000 total viewers and 958,000 adults 18-49 on premiere night, according to Nielsen. Starring Aracely Arámbula, David Chocarro, Danna Paola and Rebecca Jones, the series ranked as the network's highest-rated 9 p.m. premiere since 2012. Additionally, the premiere episode of La Doña reached a cumulative audience of 2,504,000 total viewers and 1,328,000 adults 18-49. Locally, La Doña ranked #1 regardless of language in Miami among total viewers and adults 18-49, and was the #1 Spanish-language program in New York, Philadelphia, Houston, Boston, Atlanta, Denver and Orlando, among total viewers and adults 18-49. The premiere of La Doña ranked as the #1 most socially engaging primetime program among Spanish-language networks. It also generated 10,000 streams, ranking #1 among 9 p.m. premieres in video views. Additionally, the premiere was the most mobile 9 p.m. premiere in Telemundo's history with 89% of users accessing content on mobile platforms. An original Telemundo production made by Argos Televisión, La Doña is a tale of revenge, ambition and seduction that centers on Altagracia (Arámbula), an elegant, beautiful and successful woman who runs a construction empire and enjoys widespread respect in society. A series of major traumas early in life left their mark on Altagracia and turned her into the implacable "Doña" she is today. Source: Nielsen NPM L+SD IMP. 11/29/16 Fastie National 9p-10p & Fastie Reach w/6+ min qual. NSI, L+SD, Ranking based on P18-49 & P2+ IMP for 9-10 p.m. ET / 8-9 p.m. CT time period (vs UNI, UMA, AZA,ETV,MMX). Source: Adobe Analytics US Only, 11/29/16. Nielsen Social; Shareablee, 11/29/16. This isn't an original Telemundo production. This is a Doña Barbara remake.